I think those would be delicious with maybe some peanut buttery goo in the middle, instead of the buttercream stuff. Okay, so I'm pretty new to your blog but you've pretty much endeared yourself to me forever. I absolutely read the BSC then when I decided I had "grown out of them" I went and traded them in for Sweet Valley High (so mature I was, indeed). I vote for more smores! If only it weren't fire ban season! @jen - we will make more on the stovetop! @s - thank you! yours look amazing too. And barrettes! (Which my hair would've been too short to allow for anyway.) I assume you know they're republishing the first few along with a new prequel? And that Diablo Cody is writing a SVH movie? Yes, i agree the middle layer is just too rich and sweet. Adding lemon juice and cream cheese is definitely the way to go. I don't see the lumpy top layer, it all look delicious to me! I think you are too harsh on yourself the finished bar looks fabulous to my eyes!!! And yes as an Aussie the Graham wafers tasted like mild ginger snaps or as you said honey tiny teddies. Cheers from Audax in Sydney Australia. 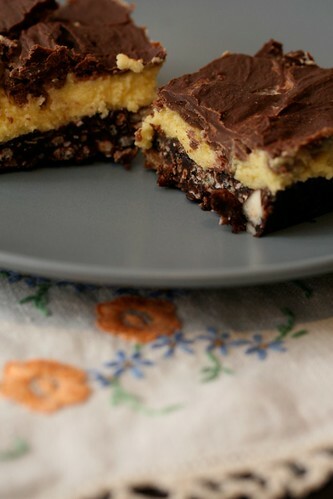 your nanaimo bars look like they turned out great. i will have to agree that they are very very sweet. but good in small doses. i've actually had smores in australia before. you can buy the bikkies with the chocolate on one side and it makes it much easier. hm i miss oz. enjoy the warm weather for me! @Kris - thank you for your lovely words. The lemon juices and cream cheese worked well but I think I'd cut out more of the original buttercream if I were going to do it again. I still have heaps of graham crackers! What to do?! @audax - Thank you so much! Yours were amazing (as always) - I wish I were as adventurous as you! @kristenly - I hadn't thought of using chocolate digestives to make smores - of course they would work! Lovely job on your challenge! If your looking for somthing else to do with your graham crackers...try out s'mores. Take a graham cracker, place a chunk of chocolate on it, then some marshmallows and toast. 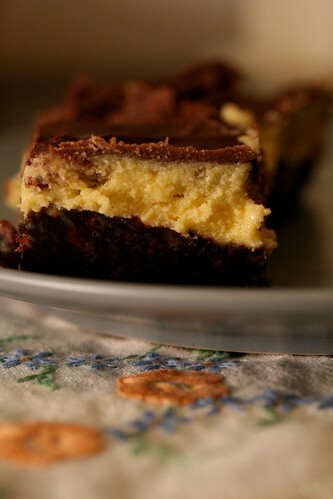 Place another graham cracker on top and enjoy! They are best if you can toast the marshmallows over an open fire. Yum! I didn't pick up on the flavour of Tiny Teddy, but I'm with you on expecting them to taste like digestive biscuits. It was a complete surprise to me, what they actually ended up tasting more like! @Natalie - Thanks for the suggestion. @Y - Even reading through people saying they were surprised at the taste, I was still surprised. In all honesty, I think it was just the honey that made me think of Tiny Teddies. i found your blog from nixwilliams, and oh! i loved and was confused by many of the babysitters' club. and am immediately a fan of your blog. 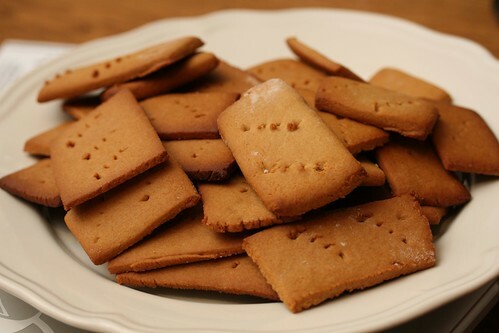 I still find it difficult to imagine that graham crackers are not some chocolate version of carr's water crackers and are pronounced "graam" rather than "gray-am". This makes me think of practical jokes / visual puns on people i know named grahame, like sending grahame crackers in the post. 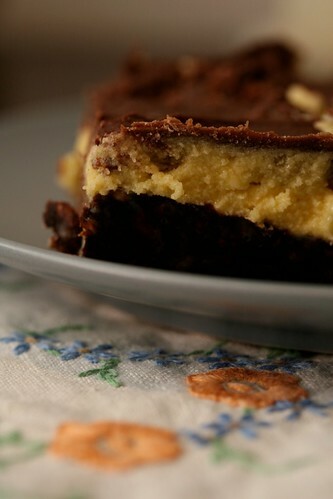 I think you did good on the lumpy chocolate layer on the nanaimo bars. A friend at work told me she skips the copha on her caramel slice because although it makes the chocolate smooth, she doesn't like the taste. I suspect perhaps a number of chocolate crackles may have tipped her over the edge, so i think i have a nostalgia about copha, if not an enduring appreciation of it.